Short on time? 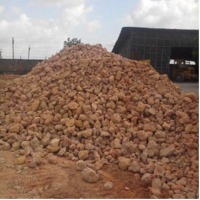 Let calcined-bauxite sellers contact you. We, radhika udyog hereby introduce ourselves as a company with 15 years of core experience in manufacture & merchant trade of organic / inorganic & industrial chemicals besides guar gum, minerals and various bulk commodities has established a good relation with clients worldwide as well as with vendors in domestic market.The company is manufacturing and processing minerals and chemicals since last 15 years, and are a leading source for procurement of chemicals in india. Our uncompromising attitude has grown many folds to cater to various industries viz. Mining (ore refining/gold mining & refineries), oil well drilling/refineries, water treatment, soap & detergent, electroplating, metal pickling / scale removal, textile, paper, paint, agriculture, automotive, food, animal & cattle feed, pharmaceutical, cosmetics etc. In the overseas market mainly in usa, europe, africa, middle east, far east. Our company enjoys pre-registered certification in various products and is also registered with indian govt. Radhika udyog committed as a whole towards delivering its best for minerals & chemicals, with optimum best quality and timely deliveries. To name a few mainline products, mono chloro acetic acid, sodium mono chloro acetate, caustic soda flakes, caustic soda prill, guar gum, hydro chloric acid, sodium cyanide, chloroform, sulphuric acid, poly aluminum chloride, calcium chloride, chlorinated paraffin wax etc. We have established the strong pillars to make stable the foundation of industries. We are engaged with manufactures of calcined bauxite minerals on v.S.K. (vertical shaft kiln) based. It is a process where we ensure proper heat treatment which enable to the product from top to bottom & vice versa. And in the business we are having rich experience of 15 years. 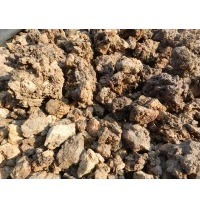 Calcined bauxite is one of the principal ore of aluminum. 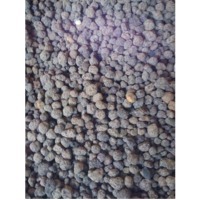 Calcined bauxite contains hydrous aluminum oxides and aluminum hydroxides, formed through the laterization of aluminous rocks in tropical and subtropical areas . Calcined bauxite is obtained by calcining (heating)superior grade bauxite at high temperature (from 85OC to 1600C) .this can removes moisture thereby increasing the alumina content. 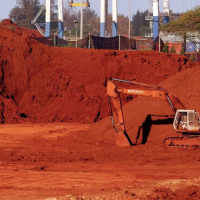 Compared to an alumina content of about 57%to 58% in raw bauxite, calcined bauxite has an alumina content of 75% to 90%. 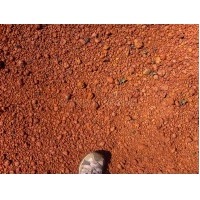 Calcined bauxite is one of the principal ore of aluminum. Calcined bauxite contains hydrous aluminum oxides and aluminum hydroxides, formed through the laterization of aluminous rocks in tropical and subtropical areas .Calcined bauxite is obtained by calcining (heating)superior grade bauxite at high temperature (from 85oc to 1600c) .This removes moisture thereby increasing the alumina content. Compared to an alumina content of about 57%to 58%in raw bauxite, calcined bauxite has an alumina content of 84%to88%.The heating is carried out in rotary kilns. Calcined bauxite is one of the principal ore of aluminum. 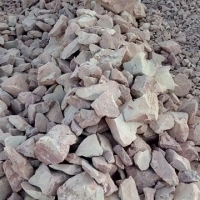 Calcined bauxite contains hydrous aluminum oxides and aluminum hydroxides, formed through the laterization of aluminous rocks in tropical and subtropical areas .calcined bauxite is obtained by calcining (heating)superior grade bauxite at high temperature (from 85OC to 1600C) .this removes moisture there by increasing the alumina content. compared to an alumina content of about 57%to 58%in raw bauxite, calcined bauxite has an alumina content of 84%to88%.the heating is carried out in rotary kilns. We have firm supply of bauxite as follows. : Al 45-49% Delivery on FOB and CFR Is an option. Origin - India , Ohka port Quantity - 30k MT to begin with as trial and can increased to 50k - 100k MT Payment 100% LC at sight. Clients are welcome to visit and inspect the product before signing of the contract should you wish. 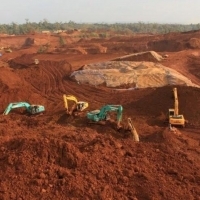 Product Details Product Bauxite Origin Republic of GUINEA Quantity 400.000 MT /month Specifications AI2O3 44%, SiO2 3% max, Fe2O3 25% max, TiO2 4% max, Free Moisture 10% max, size 0-175mm 99.5%, type Trihydrate Bauxite Delivery FOB Dapilon (Republic of Guinea) Payment Irrevocable LC issued by Buyers top 25 World Bank, covering cost of one month shipment SGS for quantity and quality Total amount 4,800,000 MT per 12 months Price to be provided upon request Inspection SGS Procedures 1) Buyers Sends LOI to Seller 2) Seller sends SCO or FCO and draft contract to Buyer 3) Buyer issues sales purchase agreement with full banking details and signed draft contract 4) Seller issues final contract 5) Not later than 2 days after signature of final contract, Buyer Bank sends L/C to the Sellers Bank 6) Seller posts a performance bond after confirmation of LC that becomes operative.